Carlos, thanks for your suggestion. We have plans to add ability to enter recipes online. Unfortunately, no timeline for the feature yet. Just wanted to say voice command option does help in putting ingredients for recipe. Also could you add measurements such: cups, teaspoons, table spoons and etc to the qty units? Hi Olga, thanks for your feedback. Kindly note that you can add your own units under Menu –> Settings –> Units. Please see Settings User’s Guide for more details. Totally agree with the rest of the crowd, it would be nice to be able to add recipe on the computer by cutting and pasting rather then type it in on the phone. I thought that would be one of the options when buying full version. Olga, thanks for your feedback. We plan to add ability to copy/paste recipes going forward. Thanks again. Hi there, thanks for your feedback! We have plans on improving the Recipe feature in Mighty Grocery going forward. However our preference would be integration with other recipe services, rather than creating one of our own. Thanks again! I would like to be able to categorize my recipes into such groups as; dessert, main dish, side dish, appetizer, etc. It is difficult to sift through all of them when I want some inspiration for just one category. Thank you! Hi Lori, thank you for your suggestion. We may consider adding recipe categories going forward. I would really love to see a pantry option added. It would be so nice to look at my recipe ingredient list and know what I already have at home and what I need to get. Thanks. Hi Heather, thanks for your feedback. We will consider your suggestion as part of the planned Pantry feature. I agree that a Pantry option would be great. Would be also great is if there was some way that when you decide to make a receipe you could automatically tell what was in your pantry, and not have to manually go through it. I know that this would be harder to do, but would be great. Lisa, thanks for your comments. We may consider this when we implement the Pantry feature. Thanks again! It would be very helpful to have the ability to sync recipes to the cloud. 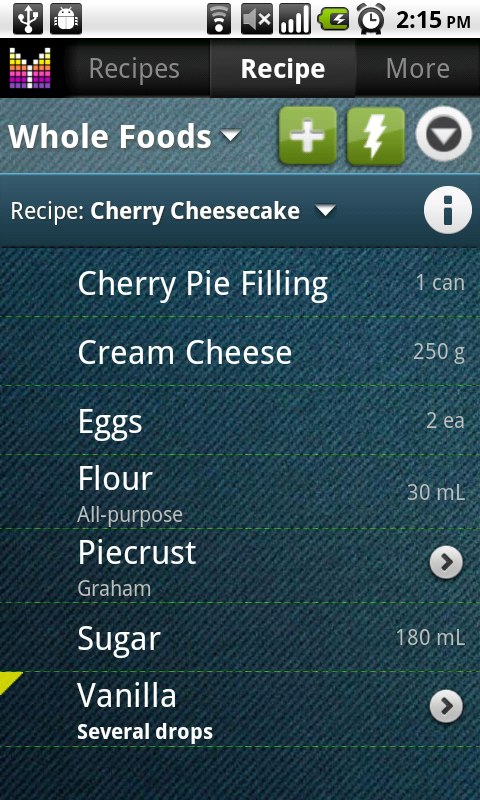 This way users can access the recipes on multiple mobile devices, just like with the lists. This would allow users to import recipes to their lists on the fly,and not have to think ahead as to which device has which recipe. Hi Rick, thank you for your feedback and suggestion. Kindly note that we are considering Recipe Sync going forward. 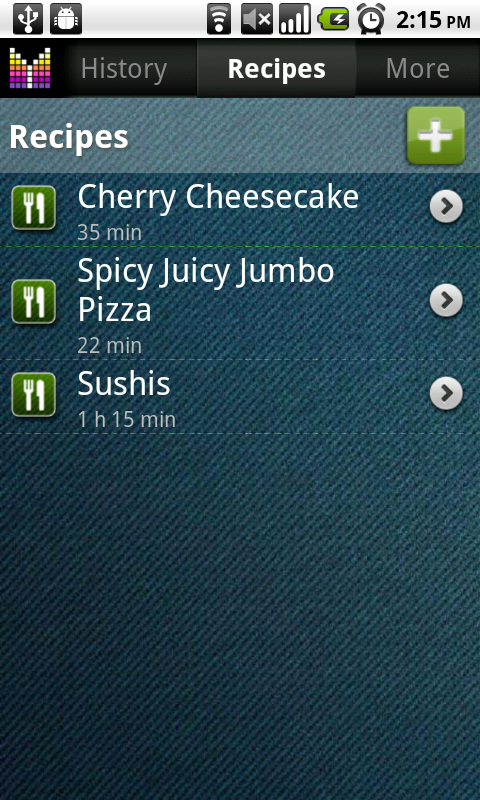 Hopefully recipe syncing, as well as History and Pick list syncing will be available soon. I’d also love to see recipe syncing! Hi there, thanks for your comment. 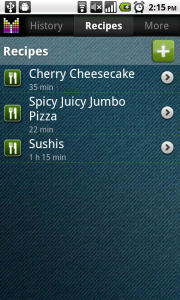 We have plans to add ability to sync recipes and group them in categories going forward. I like the recipe feature in the app and I like how easy it is to add ingredients to the shopping list. I have a suggestion though. It would be helpful if the app would add the amount of all identical ingredients from the various recipes added to the shopping list and show the total quantity. For example if you add ingredients from two recipes which each include one onion, it would be nice if the shopping list would then show two onions. It’s a really useful app, but that feature would make it even better. Thanks! Hi Linda, thank you so much for your feedback. Kindly note that it is possible to total ingredients from different recipes. Please see Recipes User’s Guide for more details. I’m having the same problem as Linda here. Items are not being added up in the shopping list. I go into one recipe, making sure my shopping list is selected. I have one onion (1 unit of onion) in that list. I select all items of the recipe, so the 1 onion gets added to the shopping list. I then go into another recipe, and this one requires 4 onions. I select all items of this recipe. You would expect that the shopping list would now contain 5 onions, but when I go back to it it only shows 1 onion. I noticed that actually when I go into a recipe that contains items that were already selected in another recipe, these items are already pre-selected in my second recipe…So maybe it’s just skipping over these items ? Hi Hugo, thanks for contacting us. Kindly note that you need to tap ingredient (not a checkbox next to ingredient) in order to increase quantity in a shopping list. Please see Recipes User’s Guide for more details. Thank you very much, that worked well. It wasn’t clear to me I needed to briefly tap rather than select. It’s when you tap you get a different menu selection in which you can add the item. I have a question. Are you able to load recipies, and/or edit the list from the computer? I am sorry if I just did not look in the right place for the information. Hi Melissa, thanks for your question. Unfortunately editing recipes from a computer is not available yet. However we plan to allow this with Advanced Web UI feature. Thanks for the quick reply. I wasn’t adding ingredients to the shopping list that way. I will definitely use that method from now on. When a brand-new ingredient, that is an item not currently in any list, is added to a recipe, the only aisle selection available is the default Other. 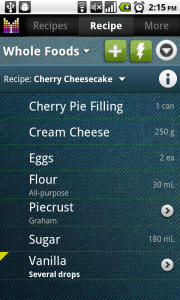 MG should provide the ability to select an aisle from the aisles for the shopping list specified for the recipe. 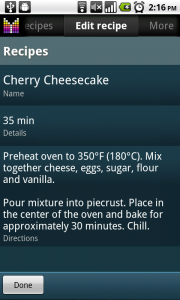 This is the one shown above the recipe name. Hi Prakash, thanks for you suggestion. Kindly note that recipe items use “Any list” aisle configuration therefor if you need more aisles, just add a few records under Aisles –> Any list. You may also want to link customized aisles to “Any list” aisles using “Parent aisle” field in a customized aisle.